*New Orleans’ black political base is one more victim of Hurricane Katrina. The storm decimated once-thriving black, middle-class neighborhoods, undercutting efforts by black candidates to raise money and build voter support. All of this is coming into play as the mostly black city readies to elect a successor to the very-public political face during and since Katrina — Mayor Ray Nagin. There’s a good chance his successor will be city’s first white mayor in three decades. Sensing the difficulty in winning, the most prominent black candidate bowed out of the race earlier this month. State Sen. Ed Murray acknowledged that it would have been difficult to beat Lt. Gov. 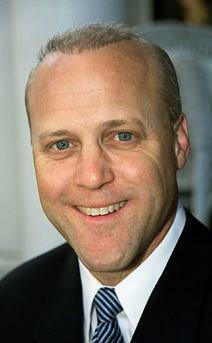 Mitch Landrieu, the scion of a prominent white political family who have been popular among black voters. Get MORE of this AP story HERE.